Visual Studio Code>Programming Languages>Generic G-Code ISO for CNC machineryNew to Visual Studio Code? Get it now. 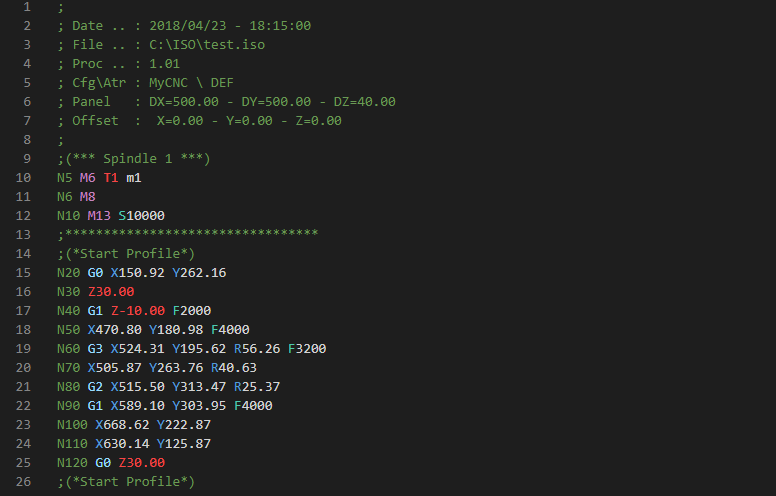 Syntax Highlighting for generic G-Code ISO program for CNC machinery. Syntax Highlighting for generic CNC G-Code ISO file.